Since falls may result in serious consequences, effective fall prevention strategies should be adopted by all Parkinson’s disease Centers and explained to patients. Our Fall Prevention Campaign aims to prevent Parkinson’s patients from falling by educating them, emphasizing gait and balance training, and donating walkers, canes and wheelchairs to those who can‘t afford these devices. 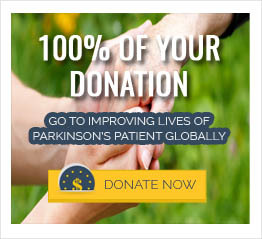 Research has shown that 70% of Parkinson’s patients fall each year and 13% fall more than once a week. What you should do if you fall?